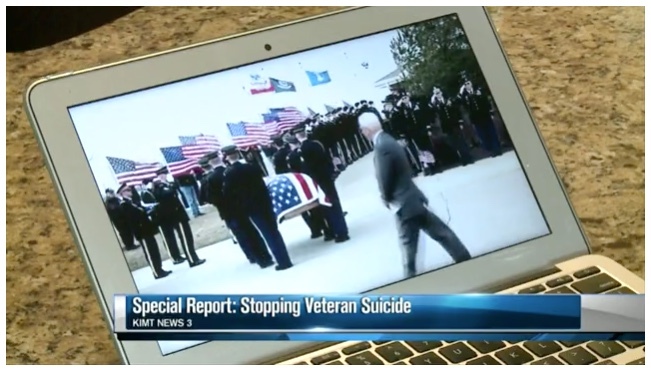 According to the United States Department of Veterans Affair report in 2014, an average of 20 veterans died from suicide each day, of those, 6 of the 20 utilized VA services. 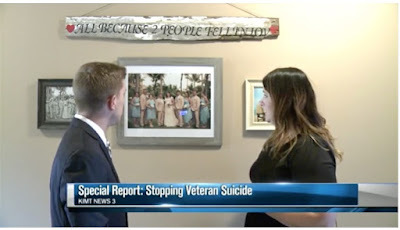 Men, women and teenagers around our nation have put their lives at risk joining the United States Military for the purpose of protecting our country, in case one day the United States goes to war. Throughout the years, many soldiers have traveled overseas for war, seeing and experiencing the unimaginable, which has lead to suicide for many military members. Jamie Baraibar of West Des Moines said it was a shock to everyone when her husband Scott Baraibar died from suicide in March. Baraibar said she wished she pushed him to talk to someone about the problems. She said it was common for Scott if he was sick or not feeling well to avoid going to the doctors, risking getting discharged from the military. This shows a few things most folks forget. Nothing has changed since I was told back in 1993 my husband had to go to VA when at least 30% of Vietnam veterans like him were needing help for PTSD. It also shows that when veterans go to the VA, they less likely to commit suicide. Perfect? Hardly but when you consider members of Congress have been writing bills and signing checks for over a decade, this battle for their lives back home is far from over.